A city man is in police custody after authorities found him dealing drugs in his South Paterson neighborhood earlier today, according to Passaic County sheriff Richard Berdnik. 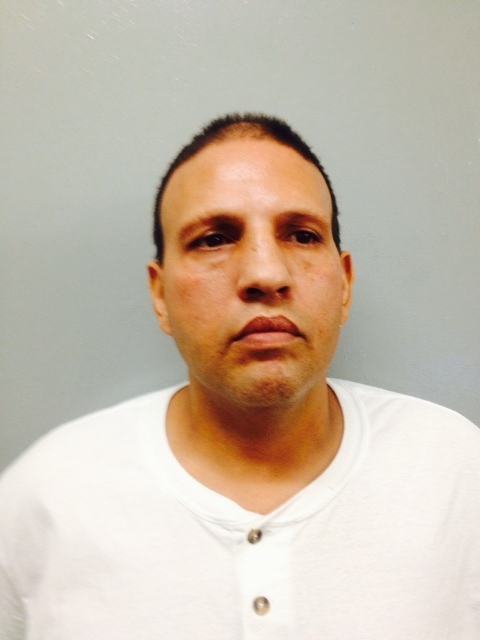 Detectives from the sheriff’s office apprehended Wilfredo Lopez, 46-year-old, at around 10:40 a.m. on Friday as he was “dealing narcotics in and around his place of residence,” Berdnik said. Following the arrest officers went to Lopez’s home at 479 Main Street to execute a search. Detectives found Lopez’ heavily pregnant girlfriend at the residence. The woman was 9-month pregnant, according to the sheriff’s office. Further search resulted in officers uncovering thousands of dollars in cash and a toy gun that resembled a real handgun. “A search of his residence resulted in the recovery of heroin, a black “Phantom” pellet handgun and over $7,100 in cash,” Berdnik said. Lopez was charged with drug possession, intent to distributed 1,000 feet of a school, and possession of firearm for an unlawful purpose. Lopez was out on parole, Berdnik said, over a sexual assault conviction. Detectives handed Lopez over the city’s police department for bail. Detectives determined his girlfriend was not involved in his illegal trade resulting in her release.